A composition to match the smile !! 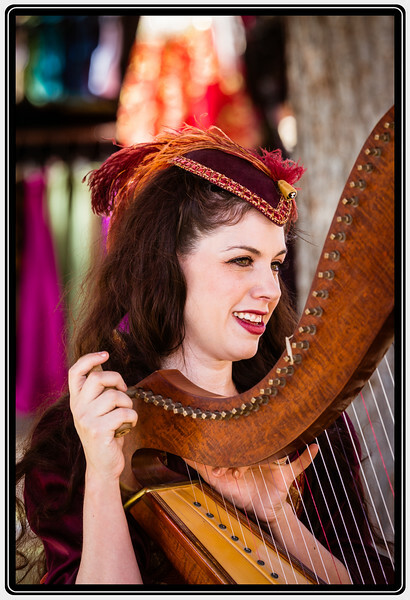 I really like how you framed this Renaissance dressed lady's face playing this harp. That's a super portrait of this lovely lady. She's got a great smile too. Having the harp in the shot is so wonderful! She is dressed for the part, but could she play the harp? Lovely musician and I hope you showed her the portrait. I love how the harp frames her face. Great shot.